Nintendo’s Amiibo figures became quite popular following their launch in November. They have been especially useful to Zelda players due to their compatibility with Hyrule Warriors. Now with details about the upcoming Wii U Legend of Zelda title being more freely discussed, many fans are wondering whether Amiibo will serve any function in the game. Well, wonder no longer because according to a recent interview with Shigeru Miyamoto, they will! 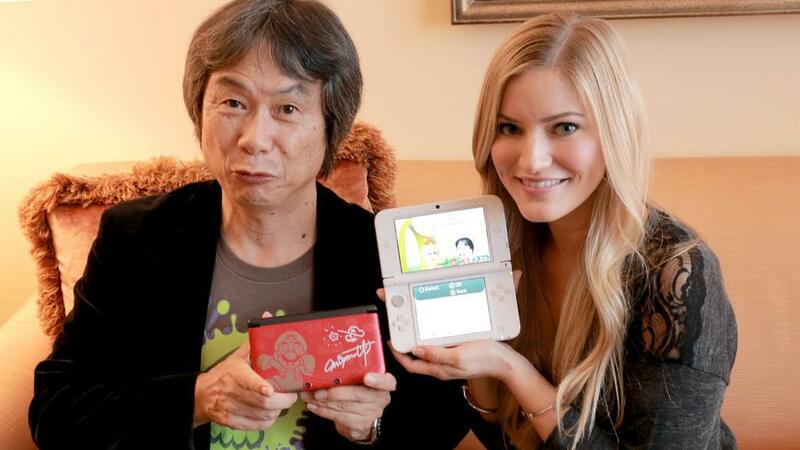 Youtube personality iJustine had the chance to interview Miyamoto and ask him about upcoming Nintendo games. When asked how he saw the Amiibo integrating into Zelda Wii U, Miyamoto hinted that they’d be functional, but gave no further details as to what their function would be. “I can’t really say just yet, but we do plan on doing something so that people who have Amiibo will get some enjoyment out of having Amiibo and using them in those games,” said Miyamoto. It’s great to get confirmation that Amiibo will have a role in Zelda Wii U, are you excited about this news? What kind of functions do you think the Amiibo will serve? Would you prefer that just Zelda character Amiibo be applicable, or all figures? Let us know in the comments section.